IN SEASON ARTISAN SOURDOUGH BREAD - Our loaves are handcrafted with love out of our industrial bakery / converted garage in Victor Idaho. In Season Sourdough bread is 100 percent organic and naturally leavened. 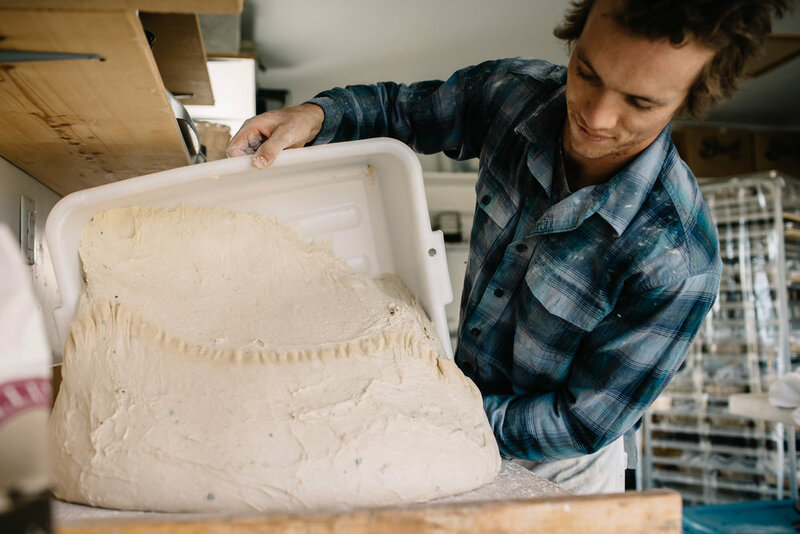 Crafted with no sweeteners or oils, it only contains organic flour, fresh Teton water and our own live yeast culture. Using live instead of dried yeast allows the bread to remain fresh much longer than factory baked bread while it also does not require preservatives to ward off mold. Similar to fermented foods such as sauerkraut and kombucha, In Season bread is fermented by using lactobacillus cultures, a probiotic beneficial to the gut. The lactic acid produced from these cultures helps decrease the levels of phytic acid (which is the leading cause for gluten intolerance) and in turn allows other nutrients to become more readily available and absorbable. Fermentation is the most efficient source of nutrient rich foods full of enzymes and probiotics yet has decreased with the advances of technology and processed food preparation. In Season bread provides an invaluable source of nourishment and is created under the belief that food is meant to be preventative of disease. Join our weekly CSA style bread share! We drop off every Wednesday at Moonshine Liquor in Victor, Teton Pines in Wilson and at Healthy Being Juicery in Jackson. Email info@inseasonjh.com to become a member. 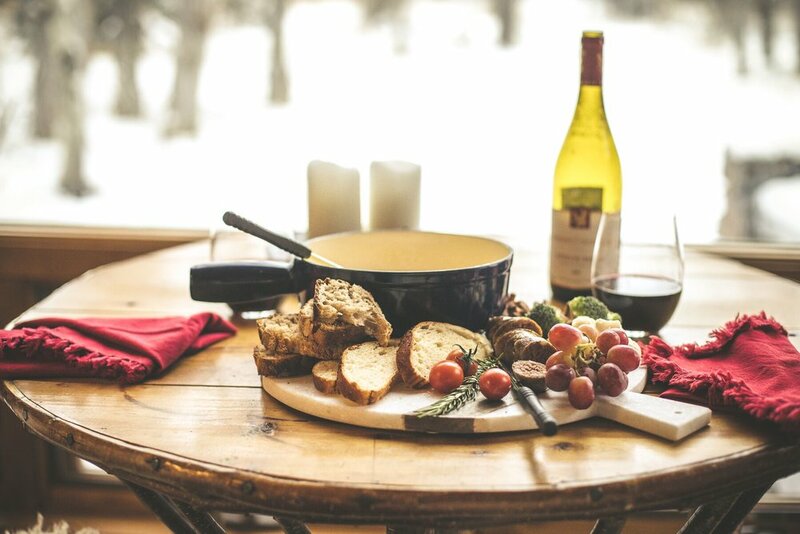 In Season and its innovative, well traveled German/American host couple set the stage by blending unique flavors, skillful preparation and artistic presentation to fuel your adventurous days in the mountains. All ingredients are hand selected from either side of the Tetons. Although the ingredients are simple and pure, they prove to be stimulating for all senses and nourishing for mind, body and soul. In Season remains committed to the wellness and enjoyment of our unique customers while paying homage to our land. Francesca was born just South of Munich, Germany. 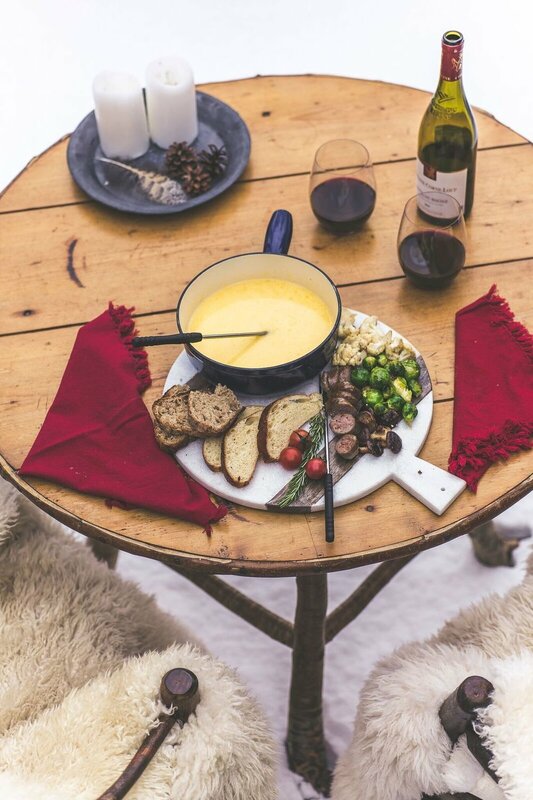 She spent her childhood exploring the Alps, its culinary creations as well as adventuring with her parents in the Tetons. A passion for adventure, both mountain ranges and lifestyles was fostered early on. Her deep rooted love of holistic wellness and well being of humans and their environments alike has made her a devoted student of nutrition, Ayurveda and Yoga. This wholesome approach is felt and tasted in the ingredients, preparation and ambiance of In Season’s dining experiences. 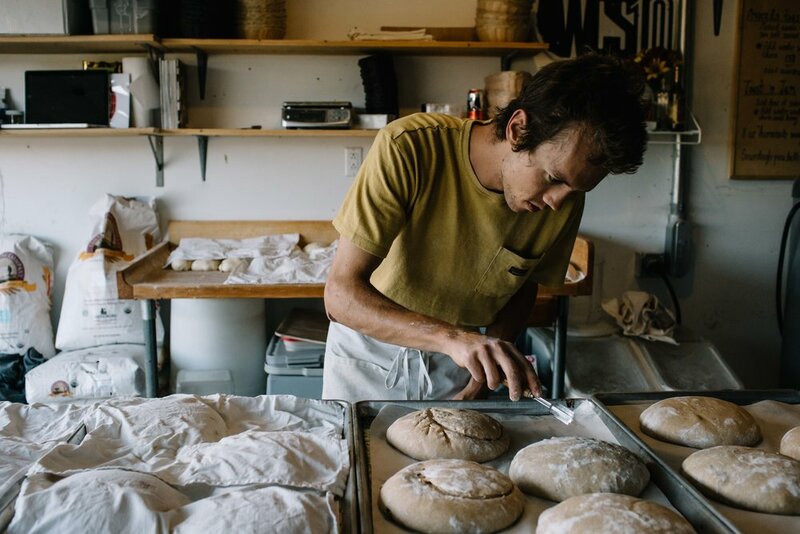 Blaine artistically combines his passion for big mountain skiing and bread baking through his endeavors with In Season. Blaine is one of the lucky few to claim being a true Jackson local, raised amongst the wilderness of Grand Teton National Park and Jackson Hole Mountain Resort. 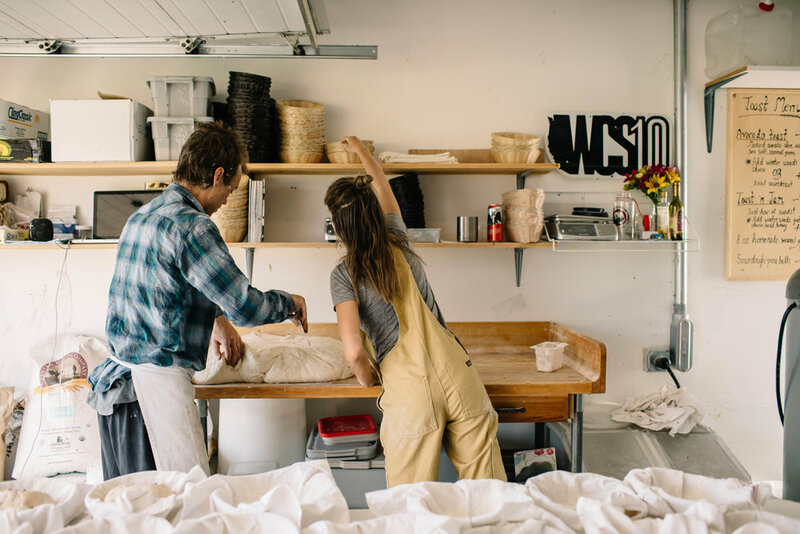 His infatuation with the meditative process of baking sourdough bread has led him to various culinary institutes in California as well as to Persephone Bakery here in Jackson Hole. His sense of adventure and unique perspective on culinary possibility allow him free range when preparing an unforgettable dining experience. Contact us to join our bread share, order loaves or book In Season’s private chef services.